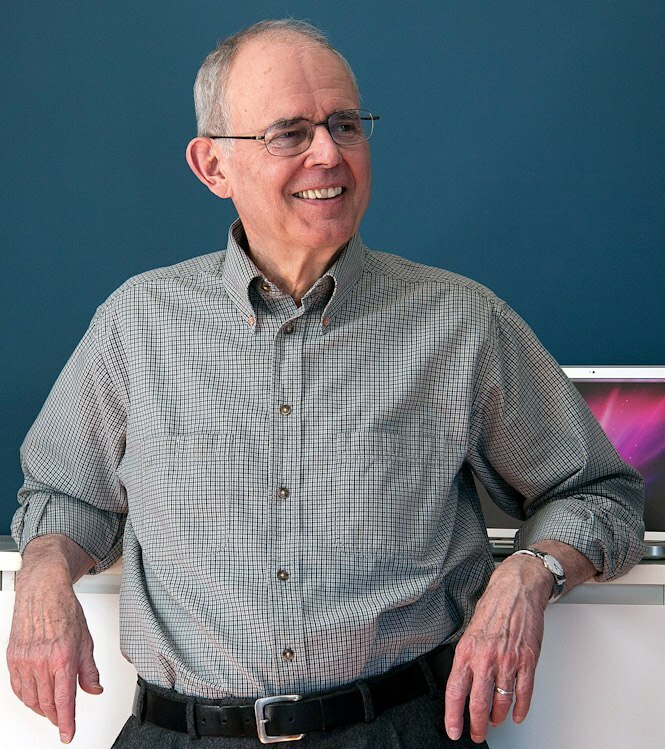 George Malko is an accomplished fiction and non-fiction author, journalist, documentarian and screenwriter whose life and career has been as adventurous, fascinating and eclectic as any of the stories he has had a hand in creating. 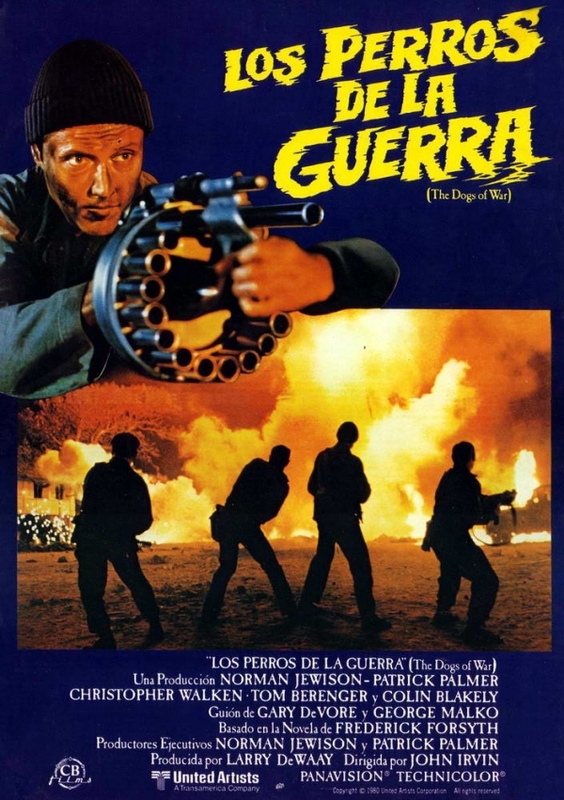 In the first of a two-part interview I spoke with George about his early years as a film fan, his foray into screenwriting via making TV documentaries in Rome, and his experiences making the films ALIEN THUNDER (1974), with Donald Sutherland; Bernardo Bertolucci's controversial LA LUNA (1979), with Jill Clayburgh; and the war movie THE DOGS OF WAR (1980) with Christopher Walken. What are your strongest memories growing up of watching movies? I was afraid of movies for a long time when I was a kid because I thought they were real. As a very small child in Copenhagen, where I was born, I was taken to see SNOW WHITE AND THE SEVEN DWARFS (1937) and I was carried screaming out of the theater because I thought it was real. I must have been about 10 or 11 when I suddenly realised that these were adventures; that they could scare me but that they couldn't necessarily get me. The first film that I felt comfortable with was PINNOCHIO (1940). It was playing at a local theater on an Easter break and I went to see it every day. I saw it eleven times. How about as you got a little older? When I was getting older and not yet in high school there were a couple of movie theaters in the neighborhood which showed foreign films and brought back certain American films. I remember going to this one movie theater and seeing BITTER RICE (1949). It made an incredible impression on me. 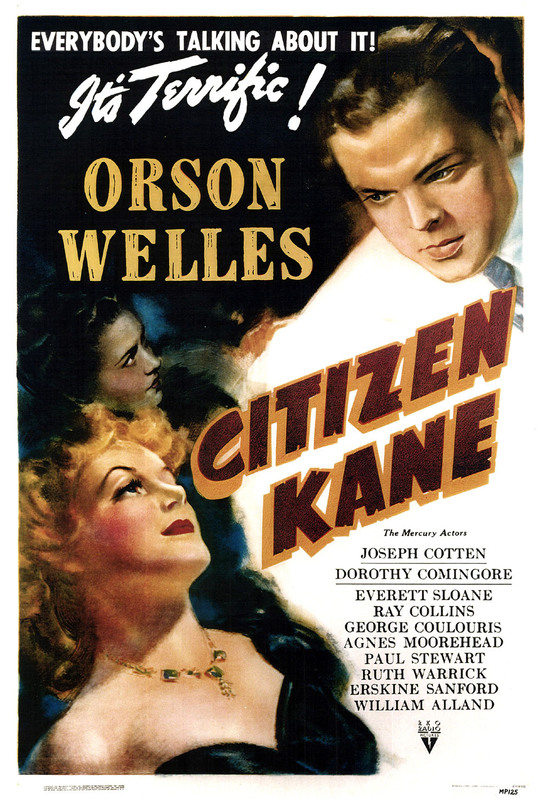 Another theater brought back CITIZEN KANE (1941). I don't know why I went because it looked like it was about newspapers and stuff and I didn't know anybody on the poster, but I walked in and watched it. I was in my early teens and what got to me was the way the story was told. I was absolutely astonished that they were smart enough to find a way to tell me the story that made it interesting to me. It wasn't just a lecture. I thought some 'grown-up' movies were like lectures. What are some other films that you saw a lot in your teens? I must have seen A STREETCAR NAMED DESIRE (1951) fifteen or twenty times. STALAG 17 (1953) and THE BLACKBOARD JUNGLE (1955) left huge impressions on me. I had never seen anthing like SINGIN' IN THE RAIN (1952). I thought that whoever made it were geniuses because they made me fel so great. AN AMERICAN IN PARIS (1951) had an incredible influence on me because I ended up studying at the Sorbonne. I'm sure it was all because of that movie. I didn't see myself as a struggling painter living near Montmartre because I lived on the other side of the river, but whatever I was expecting from my year at the Sorbonne, it delivered. I saw a lot of movies there. As you know, in Paris, there are places where you can see films that everybody else has forgotten. I remember seeing HALLELUJAH THE HILLS (1963), made by the Mekas brothers. Eventually here in New York I came to meet Jonas Mekas. When did you start to entertain the idea of becoming a writer? I always entertained the idea but I never thought I had the right to want that. There was a point where I realised that I had to stop wanting it and start doing it. I had written some stories and published some articles and reviews. We were living in Rome in the 60s and a couple of our friends were in the film business. There was a producer named Gabrielle Silverstri, who was this independent producer. Like a lot of people have said, the film business can be found in the briefcases these independents walk around town with. Their lives and the possibilities of films are in those briefcases. Hope springs eternal. I was making documentary films for CBS News and I got to meet some of these producers because we did a documentary on how some of the low-budget sword and sandal movies were being made. We followed the entire production of one of the movies. We were on the set, we watched the dubbing and we watched the sound effects guy do the effects with equipment he carried in two suitcases. The documentary was called The 150 Lira Escape (1964). Being around movies is intoxicating. It takes a while but eventually you realise that all of these people are actually working and not just having fun. But the impression is what a great life it is. How did you come to write ALIEN THUNDER? I wanted to continue writing but CBS wouldn't let me. They wanted me to stay on as a producer, so I quit and we went back to New York. I thought ''Either do it, or shut up. '' So I started trying to write. And trying to write is the correct way to describe it. It took me a long time. During the first years, I did narrations for a couple of documentaries, I had some plays done off-Broadway, I published a couple of short stories, and then finally, a friend told me that Cinema Century Films had a film project in Canada that was in trouble and needed a complete rewrite. 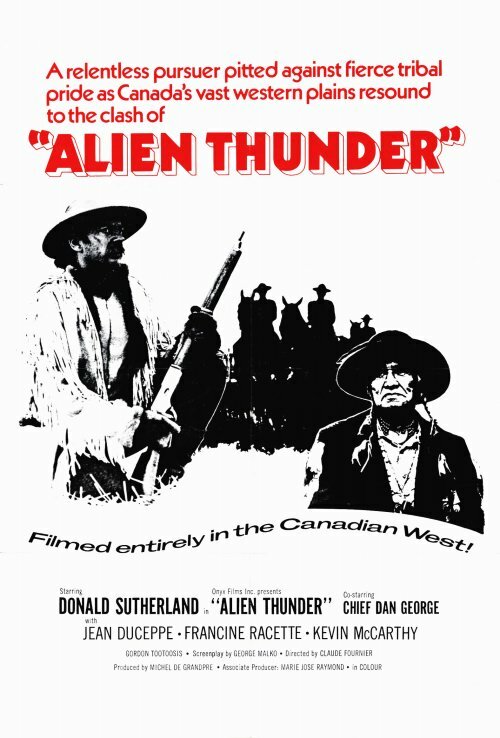 It was a Donald Sutherland movie, that was at that time called ALIEN THUNDER. 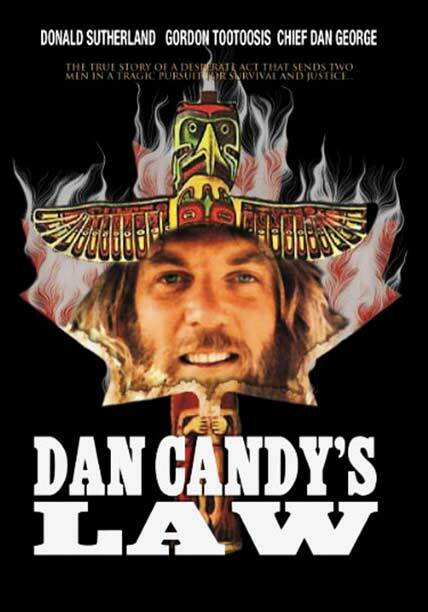 It later became DAN CANDY'S LAW. I went up to Montreal and spent some time rewriting the script and then they shot it. 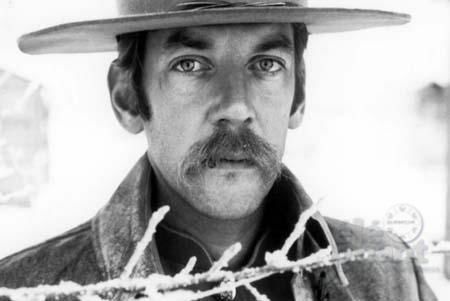 I once tried talking to Donald Sutherland about the movie and he turned on his heel and walked away. He wouldn't talk about it. He had been friends with the people who made it and he felt betrayed by the movie. It wasn't very good. It wasn't well cut. I got a cassette of it at one point amd my youngest son and I sat down to watch it. After 15 minutes he asked ''Dad, what's this about?'' and I said ''I have no idea. '' But hey, it was my first screen credit. Did they change your script a lot? They didn't really change the script. It was the editing. At one point they convinced their friend Dede Allen to come up from New York to look at it. I flew up with her. She was one of the greatest editors of all time. She looked at a rough cut and made some comments and they said ''Yeah, yeah.'' The only thing of importance that happened at that meeting in the cutting room was that they started talking about what happens when the Cree Indians are speaking Cree. I said ''Leave it. '' They said ''What do you mean? We need to know what they are saying. '' I said that all we need is a fair idea of what they are saying and that what they said in the film was self-evident. Dede agreed and said ''Yeah, just leave it. It'll be more authentic. '' Look, the director, Claude Fournier, is a sweet guy and we spent time with him in Montreal after the movie. But the movie is out of focus. There's a scene where two women are playing badminton, and it's snowing. The film comes across as like a fever dream. If only it had that mystical quality. How did you follow up the film? I did a television movie and got an agent. Work came in, but it was the usual thing. Two-thirds of the stuff you work on doesn't get made. What were the events that led to you co-writing LA LUNA with Bernardo Bertolucci? Bernardo was represented by Carol Levy in Rome, who was with the William Morris office. I was also with William Morris. Bernardo and his wife Clare Peploe came to New York because Twentieth Century Fox insisted an American writer be on the project. The original story had been written by Bernardo, Franco (Kim) Arcalli, his longtime collaborator, and his brother Giuseppe. Fox was producing with Fiction Cinematografica. Two things happened. First, Arcalli died, which was a terrible personal blow to Bernardo. Then, Liv Ullman, the film's original star, dropped out. My agent knew my background – that as a child I had lived in Rome a little bit and then later with CBS News I had lived and worked there. By this time I could read and speak Italian comfortably. He put us together and I wasn't quite sure what the movie was about. I missed the moment of the conversation where they had explained it. After we had had lunch, Bernardo asked me ''Why is it that you know Italian?'' I said ''Well, my father was a conductor and when I was 12 or 13 he was over there conducting and we all moved to Rome. I went to the American Overseas School of Rome for a while. As a kid in Rome it was really quite amazing because you felt you had the language and could get around. You felt the city belonged to you. '' Bernardo looked at me and said ''That's what my movie is about. '' I read the extensive original treatment, and a week later we flew to Rome and began working, meeting every day at Bernardo's home. Giuseppe was there much of the time, but not knowing English, his contributions were minimal, even though we discussed many things in Italian. 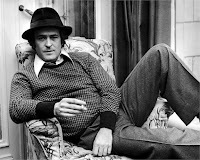 At the time, Giuseppe was also involved in trying to get what what would be his third movie off the ground - it was made eventually and was called OGETTI SMARRITI, or LOST AND FOUND in English. Because the original star was to be Liv Ullman, in the movie, where Jill Clayburgh goes to VillaVerdi, outside Parma, which was my suggestion because I had worked in Parma, we were originally going to go to Oslo. After Liv Ullman fell out, they met with Jill, and liked her. She came down to do camera tests while we were working on the script. She had just won an Oscar for Best Actress for AN UNMARRIED WOMAN (1978). It was only then that Bernardo learned her grandmother had been an opera singer. Jill did all the singing in the film. I remember that originally, for the role of the best friend, who is played by Veronica Lazar in the film, Bernardo wanted Monica Vitti. When he first talked about that, I thought ''Hey, I'll be there!'' It was a smart decision not to use her really because Monica would have overbalanced the movie. Jill was wonderful. A terrific actress and a terrific person. But she couldn't have held the frame against Monica Vitti. What kind of experience was it making the film? Did the script change at all as he was filming? What changed unfortunately was some of the locutions that they gave the American boy. The problem was that they didn't have an American on the set. There are moments in the movie where the boy says things that aren't American. When I wrote the novel I fixed all that. Bernardo said ''I don't want a novelisation. I had a novelisation on LAST TANGO IN PARIS (1972), and I hated it. I want a real novel. '' So I wrote a real novel and he was thrilled. In the book, I drop the other shoe. In the movie it's ambiguous whether the mother and son sleep together. Not in the book. By the way, Bernardo and I had previously met briefly when I was at CBS News in Rome. I had shot a documentary in Parma, and I met his parents. His mother had grown up in Australia, and my wife is Australian, so they had a nice talk. Did you have any worries about the subject matter of LA LUNA? Bernardo is great at flirting with the ambiguities in people, most effectively in THE CONFORMIST (1970), but in LA LUNA, I think he tries to do too much. It's one of those films that you don't want to dislike. I don't really like it, but I guess it's okay. How has the film impacted upon your own life? Well, I was in a restaurant in New York years ago, and the owner came over and said ''My analyst says I have to see LUNA because it will save us months''! How did you end up co-writing THE DOGS OF WAR? I had been offered the book years before when a producer named Sir John Woolf had an option on it. That fell apart. Later, my agent put me together with another producer called Larry De Waay and the director John Irvin, who were in New York, looking for a writer. By then they had seven or eight drafts. 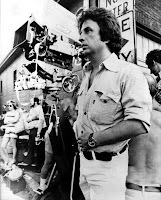 Everybody had done a draft of it, including Michael Cimino. I had read the book years before when Sir John Woolf had it. They said ''What did you think of it?'' I said ''Well, its main problem as a book is that A hires B to do C and B does it. That's it. There's no conflict. '' They agreed. Freddie Forsyth had personally backed a failed coup in Africa. He had enlisted that famous mercenary, Mike Hoare. Forsyth had put $800, 000 into this failed coup and he wanted his money back. So he wrote the book as a way to do that. I went to London and we spent 2 1/2 months beating out the script, and United Artists greenlit it. 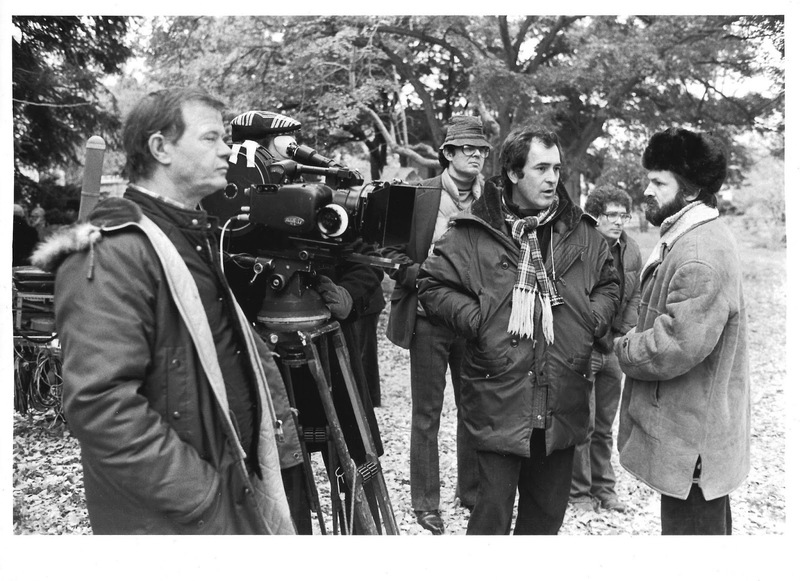 While in London, I met with Pat Birch, the wonderful choreographer, who was going to direct a movie that Robert Stigwood wanted me to work on. It was a musical that was a crossover between Salsa music and New York, much like like the way SATURDAY NIGHT FEVER (1977) had been a crossover between disco and New York. So I came back to the States and started working on that. Meanwhile John Irvin and Larry De Waay were looking for places to shoot THE DOGS OF WAR that were Africa but not Africa. I recommended a particular section of the island of Puerto Rico that had been inhabited by slaves originally and was very African-looking. We were in touch about that but they ended up shooting in Belize. It looked great in the film. It was very effective. One of the wonderful things about the movie is that all the money is on the screen. When did Gary De Vore come on board? They wanted a polish and another pass at it and John Irvin wanted me to come to the Coast. United Artists said ''No, we have someone out here to do it. '' Gary took a pass at it and did beautiful work. I think at the time his credits were stronger than mine so he took first position but that was fine. My opening was different than the one that Gary wrote about them leaving the country after a battle. His opening was terrific. John made that look great. Can you talk about your opening? My opening was in some African country after a coup and they are all in a whorehouse, just collapsed. Theres smoke in the air from after the battle, there are girls around and there's drink around, but no-one is drinking because they're all listening to Shannon on the phone confirming that their money has been paid into their Swiss accounts. They're not leaving until it's done. Finally it's done and then he says ''Now we can leave. '' They get up to leave and Drew, Shannon's friend, passes one of the exhausted black women and says ''You gonna miss me?'' Then the story moved to New York. It was an interesting lesson for me. In a story like that you want to start out big. The choreographing of the explosions as the plane takes off is beautifully done. After having seen Tinker Tailor Soldier Spy and seeing his other work over the years, John's use of music is quite wonderful. The end, when the jeep is leaving, and he has that English hymn on the soundtrack is very strong. John and I came close years later to setting up a comedy that I wrote. A producer came on board and we sold it to Interscope and Ted Field in Los Angeles. Five days before going into pre-production, all of the top people at Interscope were replaced and of course the first thing they did was get rid of all the projects that had been in-house. John and I have tried to get other things going but they didn't happen. Was Michael Cimino ever in line to direct the film? No, he wasn't. I read his screenplay. It was terrific but it had absolutely nothing to do with the book. It was just a lot of stuff getting blown up. I had to look at all the scripts because there was an arbitration. There were eight or nine scripts. Everybody who worked on the scripts could have formed their own affinity group. We could have gotten on a bus and gone touring. What can you say about the scenes that were deleted from the movie? I don't really remember much about the missing footage. I think it had something to do with the funeral of a friend who was near death when they left whatever South American republic they were fighting in in the opening. 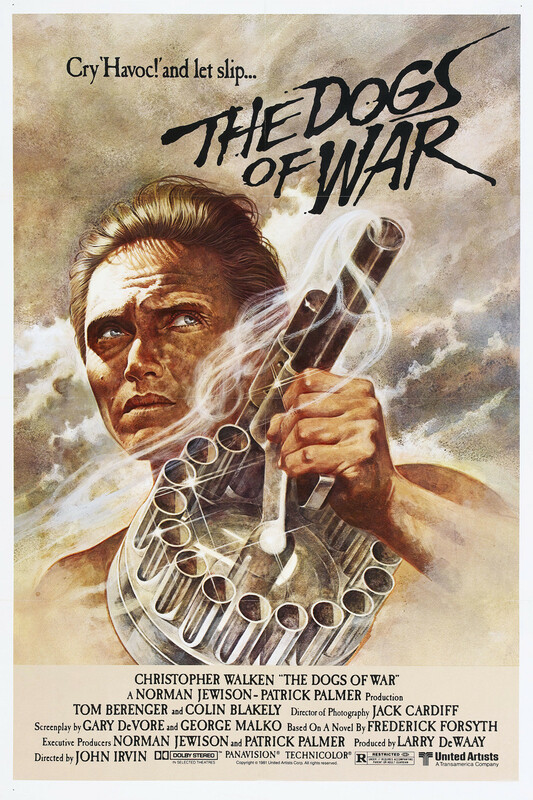 I think it also had something to do with Tom Berenger's character. I saw Tom at a screening of a cut of the movie in New York, and he said to me ''Where am I? What happened? I'm barely in it. '' 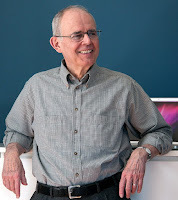 After that screening, John re-edited the movie and cut 18 minutes out of the film, and as a result, Tom was very much back in the movie. I told Tom as much but I don't know if he agreed. The shorter version of the movie played better and really moved.